I'm not even a grown up yet and you have to drag me out. But speaking of my jam... WHITE VESTS! Like my new favorite thing. I so agree... Fridays are my least favourite days of the week to "go out"... I need the evening to relax from a long work week and them I'm all good for Saturday! I love that vest... looks like it will go with tons of things! 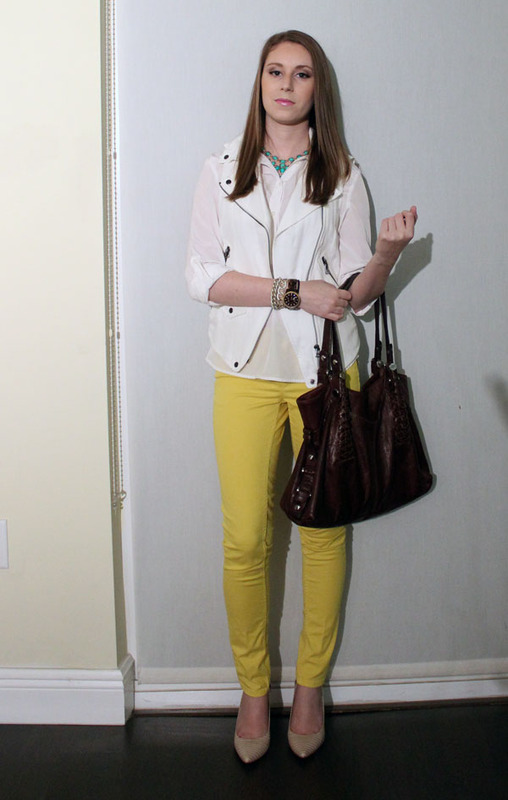 loving this chic look and yellow + turquoise works great together! Thanks so much for linking up!! This vest is incredible - and good to know about that blouse - I'm going to have to go try it on and see how it fits me! Hope you get the internet snafu all figured out! 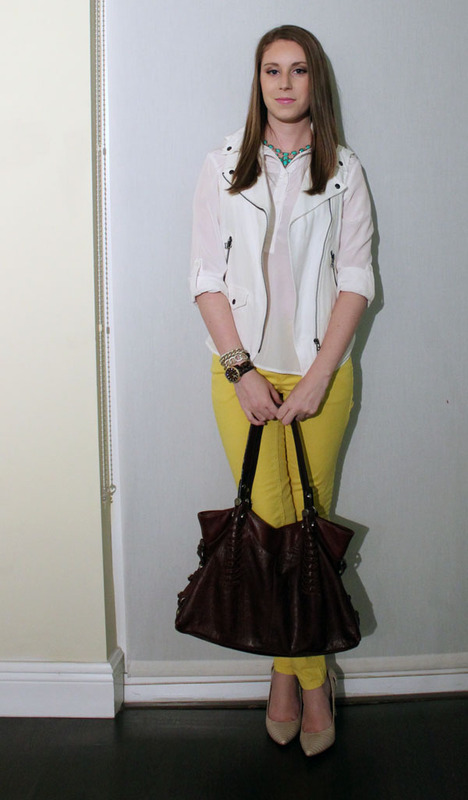 Gorgeous use of yellow for winter dressing!